In light of today’s announcement regarding not holding the Fall 2019 Festival, we have decided to extend the pre-season sale to next year’s Spring Festival. The special discount on four day ticket types will now extend past the Thanksgiving holiday, to give loyal Fall Strawberry patrons an opportunity to consider going to the Spring Festival instead. Camping tickets to Spring 2019 Strawberry are available at the lowest price possible and can be purchased online 24/7, by phone M-F, 9-5 at (209) 984-8630, or by mail sending payment with our check order form to P.O. Box 664, Jamestown, CA 95327, on or by Monday, November 26th, 2018. 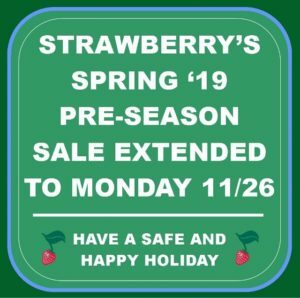 We know some of you won’t be able to substitute Spring for Fall, but we hope to see as many Strawberrians as possible next Spring and will really look forward to seeing the rest of you in 2020. 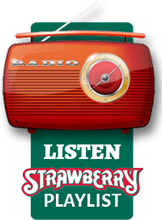 Thank you all for your continued support for the Strawberry Music Festivals.